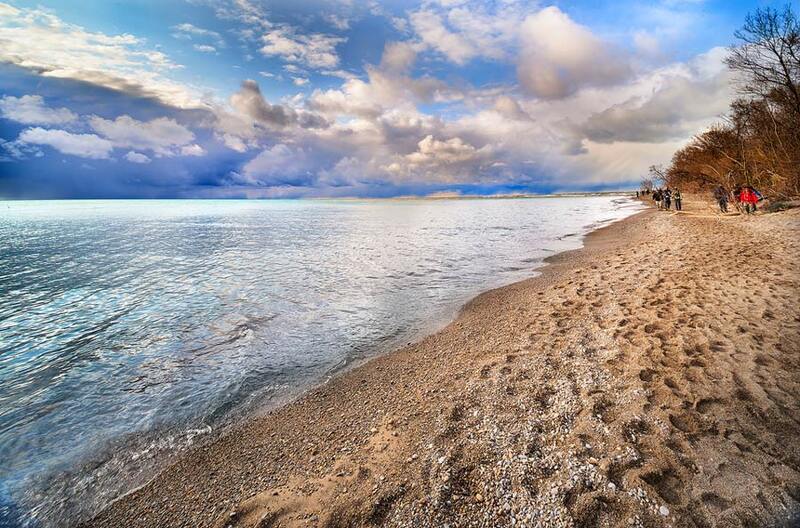 Point Pelee, Ontario is a long spit of land that runs south into Lake Erie. It is the southernmost mainland point in Canada (the very most southern point is on nearby Middle Island, also in Lake Erie). Many people may be surprised to learn that this part of Canada is on the same parallel as Northern California! (Or, perhaps they wouldn't but it came as a surprise to me, although I live only 3.5 hours away. What can I say? Geography was not my best subject). 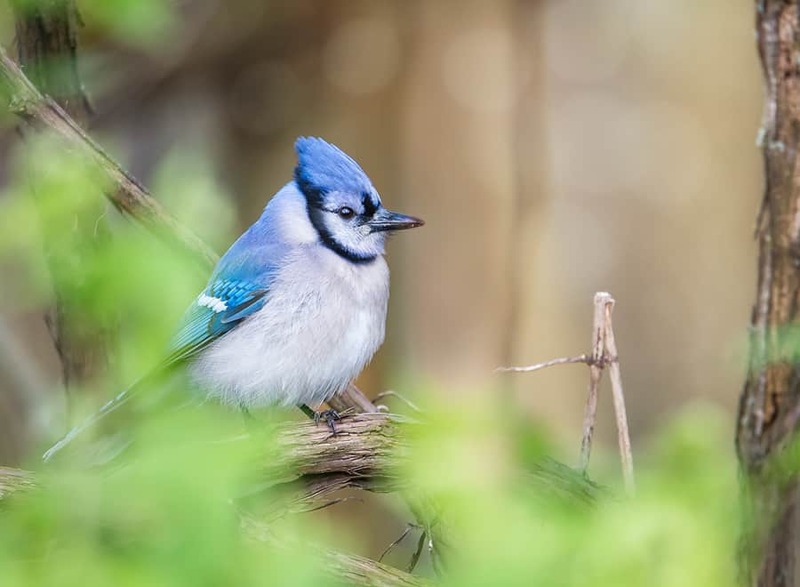 What makes Point Pelee so special for bird watchers and photographers is the incredible number of bird species that can be seen there (over 370) and that 340 of those can be seen during the Spring migration period. This area is arguably the best spot in all of mainland North America to view migrating songbirds, who usually arrive in droves during the first few weeks of May. One of the factors that make this area so fruitful for photographers, in particular, is that the birds arrive exhausted and spend their time recuperating, feeding on low shrubs or nearer the ground than they usually would, affording a rare opportunity to get a clear shot at species that normally hang out in the very high treetops. Another important factor is that the trees are just beginning to get their leaves, so tiny birds that will be completely obscured by foliage in just a couple of weeks' time are still out in the open. Occasionally, when warmer weather is followed by a stormy or windy night, thousands of exhausted birds are grounded down at the tip of the point, making it a birder's dream. This area is the overlap point for the southern limit for some species, the northern limit for others, AND it is the place where birds migrating up from Florida and others coming up from Texas cross paths. Besides songbirds, Point Pelee is a marshy area that is host to many larger birds, such as herons, swans, and ducks. The beach areas are home to gulls, terns, plovers, and sandpipers. There are also plenty of raptors, such as hawks, bald eagles, osprey, and owls, soaring overhead. Some ominous, early morning clouds at the tip of Point Pelee National Park, Ontario. This spit of land pointing into Lake Erie is the southernmost part of mainland Canada, many Americans will be surprised to hear that it is on the same parallel as northern California! It is also a birdwatching mecca in Spring as thousands of songbirds rest there after their long flights from points far south. The small birds trickle back to their winter homes over the summer and fall, but there is a different kind of migratory activity in autumn. Fall migrations to watch from Point Pelee include raptors, monarch butterflies, and dragonflies. Photo by Tracy Munson. 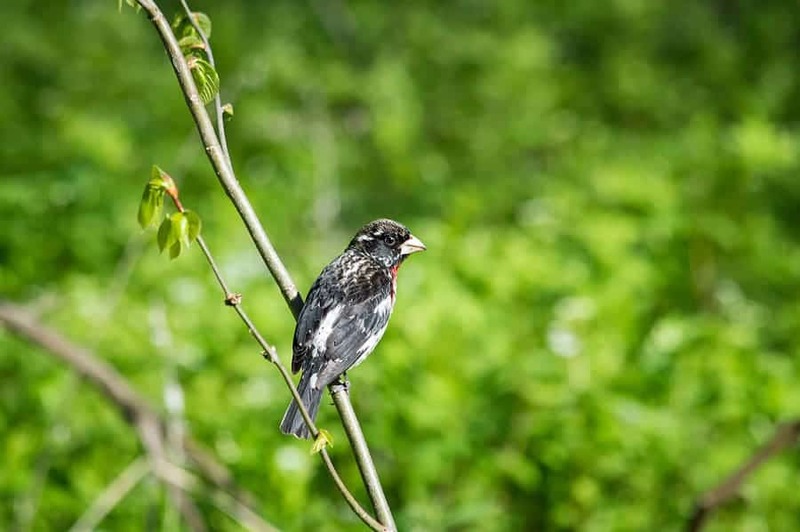 Point Pelee National Park is a beautiful place to visit at any time and wildlife is abundant, but the spring and fall migration periods are the times when birders from all over the world flock to the park. As I mentioned above, the first few weeks of May are usually the best time to see the spring migration of songbirds, but that is not the only time to visit if you want to view massive migrations. Although the songbirds take their time, trickling back down south throughout the summer and fall, the autumn migration period is the time to see huge numbers of raptors, monarch butterflies, and dragonflies, all congregating (with their own kind, not each other, obviously), preparing for their trips south. A bright red Scarlett Tanager chows down on a hornet, in Wheatley Provincial Park, near Point Pelee, Ontario. Photo by Tracy Munson. The nearby town of Leamington has all the amenities one might need, including accommodations ranging from affordable motels to quaint B&B's to luxurious cottage rentals, and it's only a few minutes' drive from there to the entrance of the park. Proximity will be important because the birds tend to fly across the lake at night, making very early morning the best time to see large numbers of them. From a photographer's standpoint, of course, early morning and later in the evening are also the best time for capturing good light, when the shadows and highlights are less harsh. Fortunately, these also tend to be the times when the birds are most active and likely to be seen. 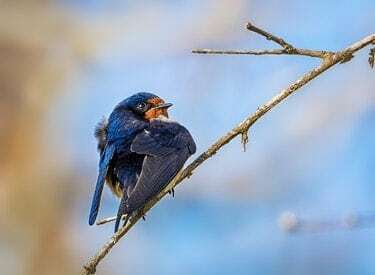 A brilliant blue and orange barn swallow, perching on a twig in Point Pelee National Park, Ontario. Photo by Tracy Munson. If you are either brave or foolhardy (or both), then there are several campgrounds nearby, but there is no camping for individuals in the National Park (camping for large groups can be arranged). I have to tell you that camping in Canada (even the southernmost tip of Canada) in May can be a dicey proposition. Will there be sweltering heat and unbearable numbers of mosquitos and blackflies? Freezing rain, high winds, or even snow? No one knows! If you were to spend a week there, you might encounter all of the above. We experienced tent flattening wind, rain, hail and a night with temperatures barely above freezing. Of course, that was the night that our air mattress sprung a leak, leaving us on the bone-chillingly cold ground, a situation that our chihuahua considerately alerted us to at 2am by throwing up right between our heads. By the time 5:30am rolled around, we were quite happy to get up and moving, because getting any more sleep had been off the table for awhile! We stayed in Wheatley Provincial Park, which was about a 20-minute drive from the National Park. It was a lovely park, in its own right and there were tons of birds right there. In fact, we saw a Scarlett Tanager as we first drove into the park and I thought to myself “there must be loads of them if it's the first bird I'm seeing”. Then, I spent the next 3 days looking for them in the National Park, but only got photos of one that was much too far away. 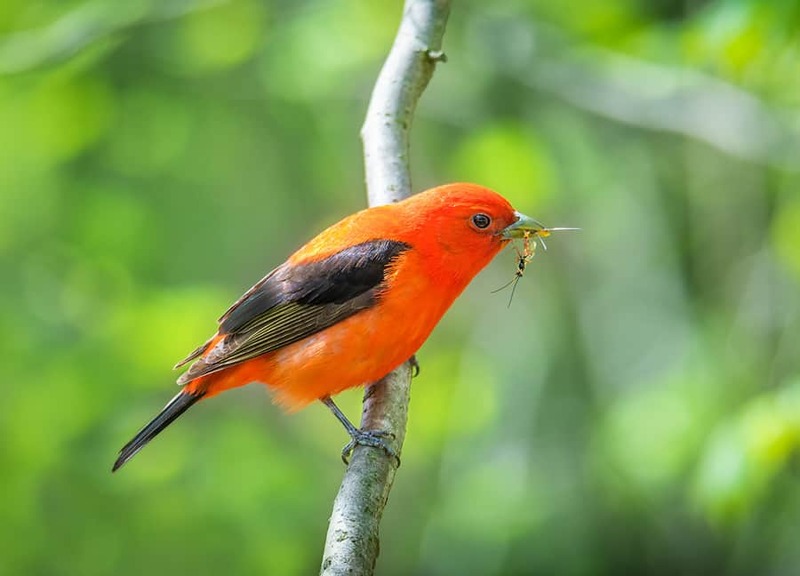 In our very last hours there, we took a little walk around Wheatley Park and lo and behold, there were lots of Scarlett Tanagers, feasting on hornets in a boggy area, right near the comfort station. There's probably a lesson of some sort in there, perhaps about not overlooking what's right in front of you because you think things will be better somewhere else. Hardly an exotic visitor to Southern Ontario but this Blue Jay was posing so prettily, how could I resist? Taken in Point Pelee National Park. Photo by Tracy Munson. This is not the time to pack light. As I mentioned above, spring (or fall) in Canada can be a mixed bag so you are going to need everything from thermal underwear, sweaters, hats and gloves, to rain gear, to shorts and tank tops. Also, bug spray and sunscreen, sandals and hiking boots. You will want to wear long pants, socks and hiking boots if there is any chance you might step off the main pathways (which you will) because this is an area with a tick population that may be carrying Lyme disease, or worse. When I got home and started zooming in on my bird photos in Lightroom, a shocking number of them had obvious ticks on their faces. You also will want water bottles and snacks while hiking, but none of the parks or nearby conservation areas are very large and you will never be that far away from a Tim Horton's (Canada's answer to everything). Besides the obvious equipment for campers, I personally recommend hot water bottles, which go a long way towards taking the chill off and increasing your comfort on a cold night in a sleeping bag. A dog or two doesn't hurt, either, provided they keep all their stomach contents to themselves. If you are not an expert bird watcher, you will probably want to bring one along, or failing that, a bird book or birding app on your phone. 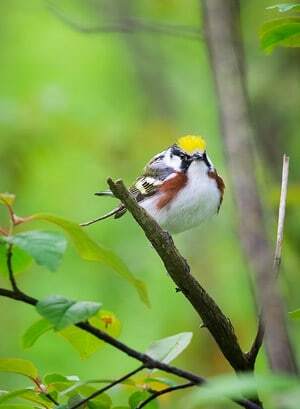 A Chestnut Sided Warbler seems curious about all the cameras pointed at him in Point Pelee National Park, Ontario. Photo by Tracy Munson. Many of the birds in Point Pelee National Park are quite tiny and although they are close, they are not THAT close. You are going to need a long lens. To this end, a crop sensor DSLR camera can be to your advantage as the smaller sensors effectively increase your telephoto length by at least half. For example, a 300mm lens on a crop sensor camera gives you an equivalent focal length to 450mm on a full frame camera. (This is true of Nikon cameras, which have a 1.5x crop factor. Canon cameras are 1.6x, effectively giving you an even longer focal length). Before you get too excited about your entry level DSLR, this leads to a bit of a trade-off situation, because you are photographing fast moving subjects in often challenging lighting conditions and a full frame camera will give you higher iso capabilities and takes full advantage of the lens's widest aperture. I personally use both crop (Nikon D7100) and full frame (Nikon D750) bodies and my preference for small, distant subjects like songbirds is usually to use the D7100 to get the extra reach, as long as there is sufficient light that I don't need to boost my iso past 1600. It is absolutely possible to get usable photos with a 300mm kit zoom (see below), but it is going to be more challenging. The really big telephoto lenses from Canon and Nikon can start running into the many thousands pretty quickly, but both Tamron and Sigma have excellent and affordable 150-600mm lenses that will make photographing birds a much less frustrating and more enjoyable experience. 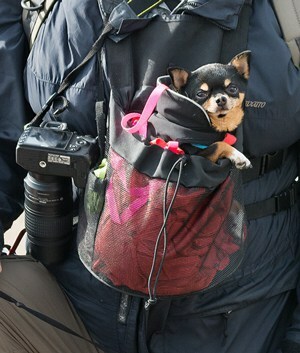 I use the Tamron while my birding buddy uses the Sigma contemporary and we are both extremely happy. For more info on picking a telephoto lens, check out the Improve Photography Lensfinder and this comparison of the Sigma Contemporary and Sigma Sport lenses. This is an un-cropped photo that my partner took with my old Nikon D3200 and a 55-300 kit lens, proving that you can still have a good time and get some decent shots with “beginner” gear. Photo by Graham Chivers. Beyond lenses and camera bodies, you are going to need lots of memory cards and extra batteries because bird photography can keep you snapping away, especially when there are birds everywhere you look. You'll be lucky if 1/20 of those photos are usable, but you won't be thinking about that when the bird is flitting about enticingly, in front of your lens. Remember that, if it is cold out, your battery life can be significantly decreased, so keep spare batteries in your pockets. If you are using anything bigger than the aforementioned kit lens, you are going to want a monopod at the very least and a tripod if you are the patient type, willing to settle in one spot and wait for the perfect shot. I personally have the attention span of a very small warbler, so I prefer the speed and mobility afforded by a monopod, but WOW, is it ever nice to be able to let the ground support that weight for awhile, after hours of hiking and shooting. Besides the comfort afforded by taking the weight off, even just a monopod can really increase your stability (actually, even just pressing your camera against a tree can really increase your stability, in a pinch). Finally, you are going to want to bring a rain cover or waterproof camera bag of some sort because the weather can be sudden and unpredictable. Unless you have a very huge and expensive fast telephoto lens, you are probably going to want to shoot with your aperture wide open, letting in the maximum amount of light and affording you the fastest possible shutter speed. The caveat is that, in some situations, this may not give you adequate depth of field to get the whole bird in focus, but most of the more affordable telephoto lenses are going to have you shooting at f/5 – f/6.3 when zoomed in all the way and this will give you sufficient DOF, at least for the smaller birds. My technique is to set the camera to aperture priority mode, select my widest aperture and set my iso at the highest level I am comfortable with (on my Nikon D7100, that is usually iso 1600). Then, I just keep an eye on my shutter speed, which I want to keep faster than 1/500th of a second, and preferably faster than 1/1000th of a second, even on a tripod or monopod, because the birds are moving so quickly. In the slanting, directional light of morning or evening, I tend to walk the trails concentrating mostly on the front-lit side. I really don't want to know about the rare Blue Grosbeak in silhouette on the other side of the trail, I want to see the well-lit bird that I'm going to get a good photo of. I'm certain that devoted bird watchers would differ, preferring a sighting to no sighting, but I am a photographer and if I can't get a photo, it didn't happen. 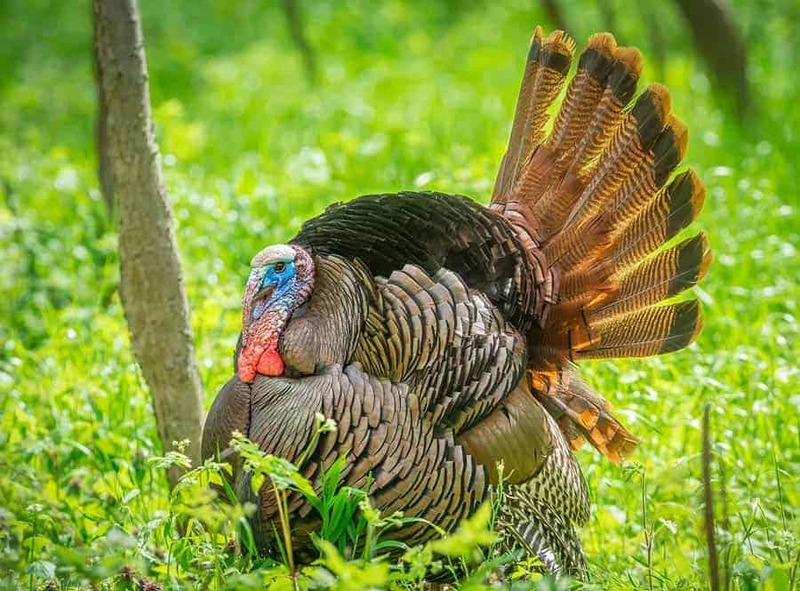 While hiking in Point Pelee, we came across two male wild turkeys putting on a big show for a nearby female. Some of the birds are absolutely exhausted by the time they reach Point Pelee. It is hard to believe such tiny creatures can fly so far, sometimes 2000 kilometres or more (over 1200 miles)! Please keep this in mind and be careful not to stress the birds unnecessarily. For example, many birding apps include bird calls, but this is not the time or place to use them to try to lure birds closer when they really need to be focused on resting and feeding after their incredible journeys. Don't forget to visit nearby birding hotspots, like Rondeau Provincial Park, Wheatley Provincial Park, and Hillman Marsh Conservation Area. Sometimes, the birds get laid up by inclement weather and can be found on Pelee Island, a ferry ride away and a charming place to visit, especially if you enjoy winery tours. Even those with mobility issues can get around in Point Pelee National Park – especially if they can find a patsy to carry them! Who Should Visit Point Pelee? This trip is very accessible and relatively inexpensive, at least for visitors setting out from Canada or the United States. 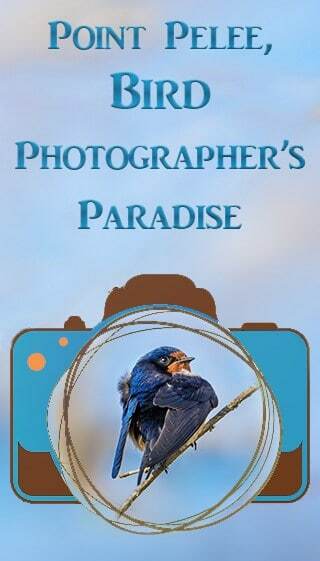 Anyone with an interest in nature photography and wildlife would enjoy the beautiful surroundings and abundant wildlife. This part of Southern Ontario is extremely flat, so hiking is not challenging at all, even for a lazy, middle-aged person like myself and there are many paved areas and boardwalks that make parts of the park accessible even to people with mobility issues. A free shuttle, included in your park entry fee, takes you the final 2 kilometres (1.25 miles) from the last parking lot at the end of the road to the trail that takes you to the very tip of the point.